Please, to comment to the mod. This free topic, you can write anything as regards to mod. I just have a question, is it possible to add more buildings to the game? It would be cool if there be more wonders (for example: Eiffel Tower for France), etc. If it's possible you could also add more military buildings, etc. I'm just asking, because I don't know almost everything about the modding. Yes, it will be done in future versions of the mod. Will be added to the new wonders of the world, office buildings and military buildings. Where can I search models for units/buildings? I heard you use Civilization IV. Does Civilization V supports models for EE2? Interesting building ... But these models I have not. Yes, I've installed the mod, and I've played it for half hour. It's really good (: I'll test it more in free time. I think buildings in Civilization V are with better graphic quality, and you should try to put textures from Civ5. What the file format does EE2 textures need? Can I search in other games than Civilization IV? I would like to ask a small question. How is the computer AI? He played poorly or well? At the level of the emperor. You probably noticed that the original principles of tactics EE2 - rps do not work. The balance changed. Medium Tank has 12 epoch the life = 5000hp and attack 500dg. A soldier's parameters are the same = 100hp 12dg. I have more questions of course - but I'll ask them later. Modding Civilization V has one unpleasant feature. In order to edit the files of the game need a licensed version of Civilization V. I did not buy the licensed version of the game. I will try to use the Civilization V, but the chances of success 50%. EE2 is used in the game engine Gamebryo. Model files in the format of nif, texture files in the format tga (in the original game are in the archives nifcache and tehcache). All games are Gamebryo nif files. I never checked before how it was, but I think you changed it to good. Now it's more relastic (5 soldiers can't kill 1 tank as it was possible before). Thanks for list of the games which supports those files. Unfortunately I didn't find a game: Emergency 4 (we could add fire brigade, ambulance, more police cars, etc). (5 soldiers can't kill a tank as it was possible before). cracked version of the game? All models and textures in the game Civilization V is encrypted. The creators of the game CivV made the program for modding this game. This is the only program able to edit the game files. However, this software is only installed on a licensed version of the game. It does not work with a pirated version. Maybe now something has changed. But half a year ago it was true. (we could add fire brigade, ambulance, more police cars, etc). Interesting idea. "Did you already tested how it looks in EE2? 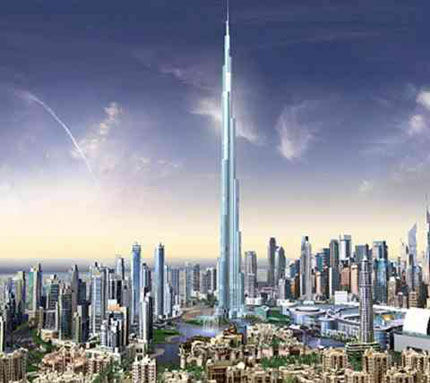 I'm afraid that buildings from Civilization IV be too small ..." Yet, many of the buildings look quite acceptable. Ah, I understand about Civilization V.
Maybe it's possible to add railways in futher versions of EE4 mod? I was looking on Civilization V modding forums, and people were talking about "Nexus" program which allows to unpack files .fpk. Maybe you just have to find a program to unpacking files .fpk, and then there be .tga files in it? As you probably noticed, the economic building EE4 modes of Sid Meier's Railroads. railways - hardly, I think they will not function properly. find a program to unpacking files. fpk, for each game - has its own program. I do not know any other program other than Nexus. Also tga files in the encrypted civ5 - they can only be decrypted Nexus. Nexus encodes tga files in the standard form. How can I get in contact with BigBang? He has the an email? I don't know if he has an e-mail. He's not very active on Empire Earth II. All right. I'll try to write. Thank you.